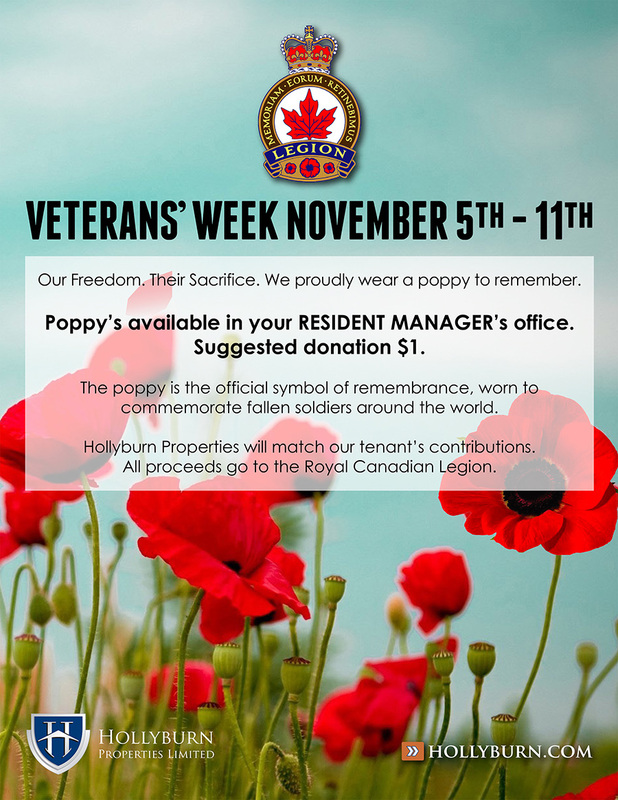 Hollyburn Properties is proud to support The Royal Canadian Legion during Veterans’ Week each year by making poppies available in each of our rental building lobbies in Vancouver, Calgary, Toronto and Ottawa, and matching all charitable donations from our residents. The poppy is the official symbol of remembrance, worn to commemorate fallen soldiers around the world. Remembrance Day is coming up on Tuesday, November 11th, 2014. Please see your resident manager to support our veterans today!